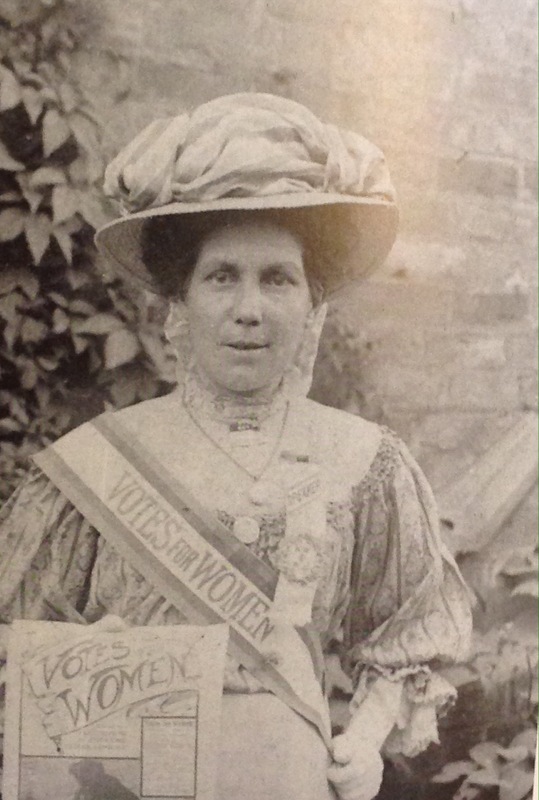 Alice Hawkins, Leicester suffragette | like an alley cat . . .
A couple of weeks ago, I went to an entertaining and informative talk in a local library. Peter Barratt was talking about his great-grandmother, Alice Hawkins, a woman born into an ordinary working family in 1863. She left school at thirteen, working as a shoe machinist in Leicester. Her sense of injustice was aroused when she realised that women were paid far less than men, and this set her on the road to trade union activism. The Unions were much more concerned with the pay and conditions of male breadwinners and she became disillusioned. In 1907 she took part in a demonstration and march in London organised by the WSPU. Votes for Women! She was arrested and spent seven days in prison. In 1908 she spoke at a mass rally in Hyde Park. In all she was jailed five times. Her activism was supported by her husband Alfred, with whom she had six children. A busy woman, she gave speeches around the East Midlands, raising support for the cause. She died in 1946 at the age of 83. For more about Alice, read this . There is also a book by Dr Richard Whitmore of Leicester, Alice Hawkins and the Suffragette Movement in Edwardian Leicester. This entry was posted in Drawings and tagged Alice Hawkins, Leicester, people, portraits by aliqat. Bookmark the permalink. One determined lady! Well done on the drawing. It seems her grandchildren found her rather formidable (in the English sense).